Different hydraulic shears manufacturers will use different steel to produce the blade. If you want to get the best shears blade, you need to know below 8 commonly used materials of hydraulic shears blade. LD (7Cr7Mo2V2Si) is high quality and toughness cold work die steel, initially for cold heading die development, so use two Chinese pinyin “cold heading” as its code according to its use. 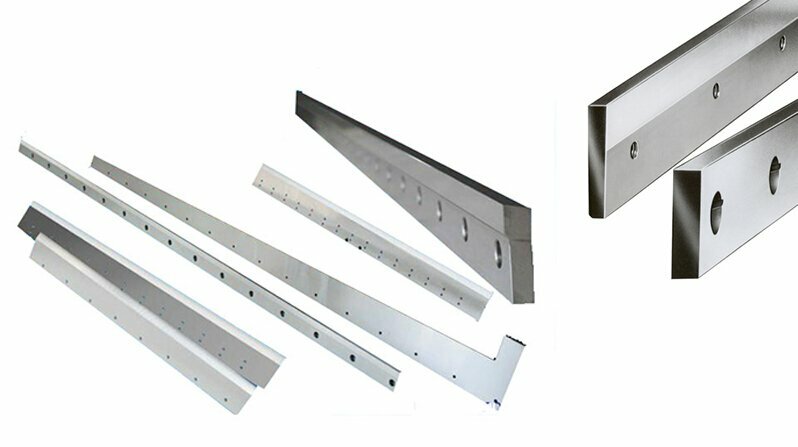 According to the actual production experience, LD steel used in the production of cold heading, cold extrusion, cold die which require high toughness. LD steel performance is better than Cr12 and W6Mo5Cr4V2. LD steel belongs to the code mold steel which is matrix type steel, with high strength and wears resistance, high bending strength, cold and hot processing technology, small heat treatment distortion and high versatility. It has a higher strength and toughness, good wear resistance, and can be used to manufacture a variety of cold cutting shears blade. It applies to a variety of hardness of the cold plate shear and the service life is more than ten times longer than Cr12MoV, W18Cr4V, W6Mo5Cr4V2, Cr12, GCr15, 9SiCr. H13 steel (4Cr5MoSiV1) is a high-quality air-cooled hardening die steel. It has high toughness and resistance to hot and cold fatigue properties, not easy to produce thermal fatigue cracks, strong anti-adhesion, and small molten metal interaction, so it’s widely used in hot upsetting, hot extrusion, and thermal shear shearing machine blade manufacturing. The performance and application are basically the same as 4Cr5MoSiV steel, but because of its high vanadium content, the temperature (600 degrees) performance is better than 4Cr5MoSiV steel. It is representative steel used in hot work die steel, suitable for hot shear of steel plates with temperatures below 800 °. 6CrW2Si is a high-quality alloy tool steel, which is based on the chromium-silicon steel by adding a certain amount of tungsten. Because tungsten helps to preserve relatively fine grains during quenching, it results in higher toughness in tempering conditions. Compare with 4CrW2Si steel and 5CrW2Si steel, 6CrW2Si steel has higher quenching hardness and a certain high-temperature strength. 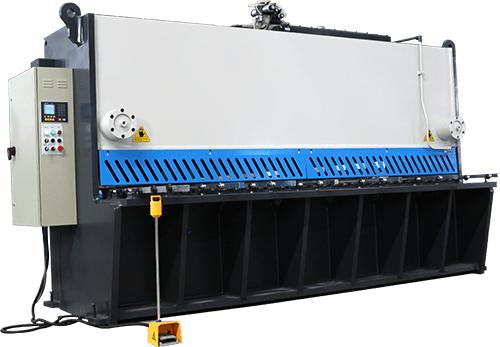 It is usually used to manufacture hydraulic shears blades that are subject to impact loads and require high wear resistance. It’s applied in all kinds of ordinary steel and hard texture stainless steel plate shear. W6Mo5Cr4V2 is high-quality high-speed tool steel, referred to as 6542, commonly known as “high-speed steel”, which is high-carbon high-alloy tool steel for high-speed cutting. Tungsten molybdenum series is the representation of high-speed steel. Its prominent feature is a high hardness, wear resistance and thermal hard (also known as red hardness). When the temperature up to 500 ~ 600 degrees Celsius, the hardness of the cutting tool is still no significant decline. Red hardness, high-temperature hardness almost same as the W18Cr4V, but easy to oxidize decarburization, should be noted in the thermal processing and heat treatment. W6Mo5Cr4V2 can be cut at a higher speed than a low alloy cutting tool steel. It is mainly used for making cutting blades with high cutting speed, heavy load, and high working temperature. It is suitable for sheet shearing in various states. Cr12MoV is high-quality mold steel, the hardenability, hardness after quenching and tempering, strength, toughness is higher than CR12. The diameter below 300 ~ 400mm can be completely hardened, quenching deformation is small, but the high-temperature plasticity is poor. Cr12MoV is mainly used to produce hydraulic shears blade with a larger cross-section, complex shape, heavy workload, etc. The blade made of Cr12MoV can be used for cutting over 800,000 times, applied in the cutting of plate in high hardness, such as stainless-steel plate, silicon steel sheet. 9Crsi is a high-quality low-speed low-alloy cutting tool steel, featured brittle and hard, and heat sensitivity for surface hardening and easy crack tendency. Measuring tool cutting tool steel is commonly used low alloy tool steel, with high quenching and hardenability, and high tempering stability. Can be used to make the hydraulic shears blade with a complex shape, small deformation, high wear resistance, low-speed cutting property. 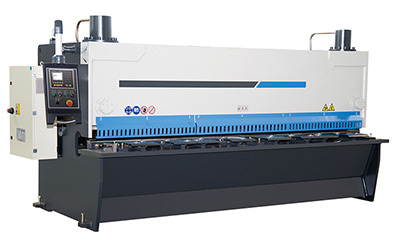 Suitable for the ordinary A3 board, Q235 board shear. T10A is a high-quality carbon structural steel, with high strength and wear resistance, but low hot hardness, quenching and hardenability and high quenching deformation. It’s suitable for manufacturing shears blade with poor cutting conditions, high wear resistance requirements, and not subject to sudden and severe vibration, the need for a certain toughness and sharp knife edge. 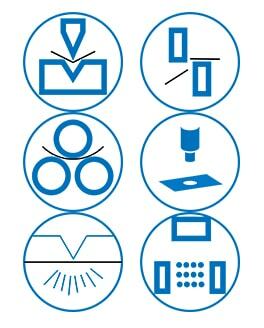 It’s applied in ordinary A3 plate cutting. 45 # is a high-quality carbon structural steel, which widely used in machinery manufacturing. It featured easy cutting and has good mechanical properties. However, as medium carbon steel, 45 # steel quenching performance is not good used in the manufacture of plate cutting machine blade. The heat treatment hardness is only HRC42 ~ 46. Therefore, the usual practice is to use quenched and tempered + high-frequency surface quenching process. The wear resistance slightly worse than carburizing, applicable to non-metallic sheet shear.